A month and a half ago, I reported on a weird bug that was affecting some Google AdSense publishers where they were receiving notifications of rejected ad requests. Since then, it was pretty quiet on the front, that was until yesterday where I guess the bug started to impact more publishers. The WebmasterWorld thread with the original complaint saw a huge increase in complaints yesterday and I received several emails about the issue from publishers. I sent them to my previous rejected ad requests story. The thing is, this time, Google is working on a fix. 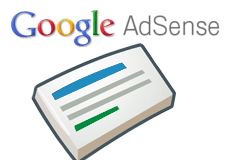 If you look at the AdSense known issues page, you will see this issue being directly addressed, where Google said they hope to have a fix out in the next few days. We're quickly working to fix this so that only publishers who need to take action will see the alert. We hope to have this resolved in the next couple of days, and we'll update the known issues page when the update is live. If you are concerned about this alert, please check your account after that, and if you still see the notice, follow the instructions in the Help Center to resolve the issue. Note that the vast majority (over 90%) of publishers now seeing this notification will not see it after the fix. If the instructions in the Help Center don't seem to apply to you, you are probably one of the publishers who should not be seeing this alert notification. So hang tight, I hope this doesn't have a negative impact on your income and doesn't cause any of you additional stress.